The Australian Defence Forces’ (ADFs) Special Forces Training Centre is operated by the Australian Army’s Special Operations Command (SOCOMD) at Holsworthy Barracks in Singleton, New South Wales. The SFTC recruits, screens and trains selected personnel for service with the Australian Army’s Commandos and the Special Air Service Regiment (SASR), in addition to managing doctrine development, marketing, training support and validation and specialist capability development. As such, the SFTC is considered central to ensuring that Australia’s Special Operations Forces (SOF) is fit for purpose, now and in the future. Since inception in 1997, the SFTC has enabled the force generation of ADFs contemporary and highly successful operators of SOCOMD. SFTC was raised in 1999 as a Training Command unit to support, validate and develop Special Forces (SF) training. However, it has since grown significantly from these origins to now manage a broad range of training and training support tasks on behalf of Special Operations Headquarters. In 2004 SFTC became a fully fledged SF unit transitioning from Training Command to SOCOMD. On 24 July 2007 a brand new purpose built SFTC, valued at $94 million, was opened at Holsworthy Barracks by the Governor-General (DOD, 2007). The new facilities provide indoor and outdoor multi-level electronic and live firing ranges, as well as a variety of training environments for Commando units. The facilities are also used to train for counter-terrorism scenarios and other specific SF roles. The Holsworthy facility, along with a facility at Perth and two in the United States are the only four of their kind in the world. 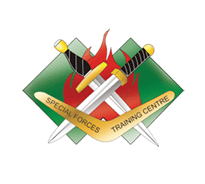 The role of the SFTC is to conduct individual (both Commando and SASR) SF recruitment, selection, training and education to meet force generation, trade and professional development requirements for SOCOMD to enable continuous elite military capabilities. All SFTC instructors are individually selected on their SF experience, supervisor qualifications and are provided additional development training to ensure that the SFTC training methodology reflects that of a contemporary, agile and reality based organisation. SFTC conducts individual training by managing in excess of thirty five courses throughout a calendar year for SOCOMD and in support of wider Australian Defence Force units. Students are trained in the core skill sets required to perform specialised tasks as an SF operator or as SF Support Staff. SFTC courses vary in duration from one to eight weeks, with course content often intensive and critical to the operational capability of SOCOMD. SASR Initial Employment Training (this is a series of courses). An outline of the Commando Selection and Training process can be found here. An outline of the SASR Selection and Training process can be found here (TBC). Quality personnel form the bedrock of Australia’s Special Operations capability. As such, the task of attracting, selecting and training physically and mentally robust individuals to provide the next generation of SF operators is an essential precursor to the delivery of this collective capability to the battlefield. Ability to consistently demonstrate sound levels of judgement, adaptability and self discipline during complex tasks. Although physical toughness is an important attribute, it is only one of a myriad of components that SF operators must possess. Judgement, decisiveness, mental dexterity, leadership, innovation and humility are all core elements required by SF officers and other ranks alike. These attributes will be thoroughly exposed, observed, reviewed and assessed to ensure each individual that is selected for service within the SF community can meet the high standards that are expected of them. The SFTC does not only conduct training at Holwsworthy but also a number of other sites, which are typically classified. As such, the Department of Defence does not discuss what goes on at Swan Island, Victoria, and information on the facility is not found on any government website. It is believed that SF carry out counter terrorism training here on a base shared with Australia’s Secret Intelligence Service (ASIS). The unit’s badge comprises both Commando Fairbairn-Sykes fighting knife and SASR sword overlaying the flame of Gideon, representing the intense heat of the selection process. In the background is the double diamond representing Australia’s World War II Special Forces origins. DOD (Department of Defence) (2007) Special Forces Training Facility Opens at Holsworthy. Available from World Wide Web: http://defence.gov.au/media/download/2007/jul/20070724/index.htm. [Accessed: 28 September, 2014]. This website is not associated with the Australian SF Training Centre, but I do know that they do not offer civilian experiences. You may wish to look at the Adventure Professionals.